In the Week 7 edition of fantasy baseball 3×3, we’re sticking with Carlos Santana, giving Brandon McCarthy a follow, and trying to find a new home for Colby Rasmus. Any questions, thoughts, Three Ninjas jokes? Hit me in the comments or on Twitter. I’m typically not a believer in “Best Shape of His Life” stories, but I can’t deny that Brandon McCarthy’s new offseason training program has paid big dividends. His sinker velocity is up significantly, as is his strikeout rate. His swinging strike and contact rates are back to where they were when he was coming out of the White Sox bullpen. It’s an incredible turnaround, and one that McCarthy has managed without losing any movement on his sinker, sacrificing any of his outstanding command of the strike zone, or being any less compelling on Twitter. And lucky you, McCarthy has done all of this under the cover of a 5.66 ERA. He’s been banged up by a .333 BABIP and 58.4% strand rate, both of which should fade back toward his career averages very soon. He’s always been a bit homer-prone, but the 21.6% HR/FB rate he’s posted so far still more than doubles his career norm. Use his horrific luck to your advantage; grab McCarthy now in deeper formats and keep a close eye on him in shallow leagues. Only 26 players have averaged at least 300 feet on their fly balls this season. If not for his teammate Chris Colabello, Josmil Pinto might have been the most anonymous name on that list. Pinto has been spectacular as the Twins’ part-time catcher, part-time DH, slugging five homers in 116 plate appearances. A .254 BABIP has limited his effectiveness otherwise, but Pinto hasn’t shown much frustration. 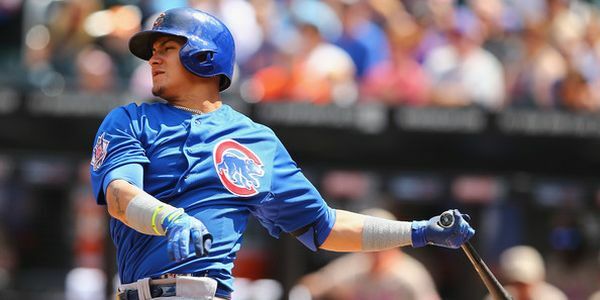 He’s been impeccably patient at the plate, drawing walks in 16.1% of his plate appearances and cutting both his chase rate and swinging strike rate from the numbers he posted in a short stint in the big leagues last season. The Twins have made it quite clear that they’ll do whatever it takes to keep Pinto’s bat in the lineup. 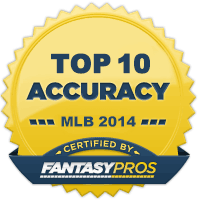 Fantasy players in deep or AL-only leagues should take the hint. This feels very weird to write, but I think Travis Wood is undervalued. After a year in which the other shoe just refused to drop, the start of Wood’s 2014 has looked more like this. His BABIP has swung almost 100 points in the wrong direction. His strand rate has dropped by ten percentage points. Aside from those unlucky breaks, just about every other trend in Wood’s game has been a positive one. Wood began to shift his pitch mix last season and he’s continued those changes this year, notably throwing fewer four seam fastballs and changeups and more cutters and sliders. The cutter, in particular, has been tremendously effective this season. The 22% whiff/swing rate Wood has generated with that pitch is 50% better than his previous career average. He’s still a fly ball pitcher, but he’s brought his ground ball rate up to a career high level. His strikeout rate is also a career high and his walk rate is at its lowest since 2011. His HR/FB rate is up a bit, but wasn’t that something we all expected to happen anyway? I’ll always be a bit nervous about a fly ball pitcher at Wrigley Field in the heat of summer, but I’m buying on Wood, for now. Riding a streak isn’t necessarily a bad thing, however it’s not as simple as just picking up whatever player happens to sit atop the ESPN Player Rater’s “Last 15 Days” list. 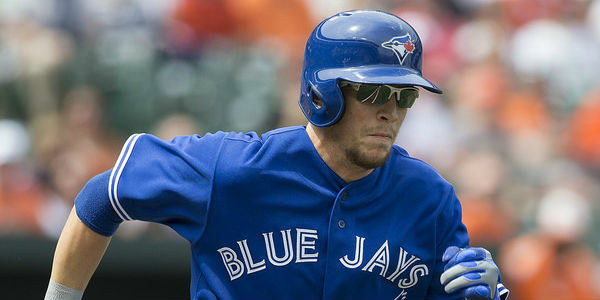 Colby Rasmus currently ranks 11th on that list, but I don’t expect that he’ll stay there for long. He’s up there now because he’s hit five homers in eight days. It’s an impressive, but not at all unprecedented feat for Rasmus. Last season, he hit four homers in seven days in June, then popped four bombs in six days in September. In 2012, he hit five homers in nine days in June. In 2011, he hit four dingers in eight days in June and July. Though he’s had these hot streaks many times before, it’s never marked a real change in his approach or his long term results. He’s been a good power source in each season, but he remains little more than that overall. In fact, aside from the positive impact of a fluky .356 BABIP last season, Rasmus seems to be fully embracing his role as an all-or-nothing power hitter. His contact rate is on the way down, his strikeout rate is on the way up, and he’s one of only five players in baseball with a fly ball rate above 50%. He’s steering into the skid. Nine home runs in 136 plate appearances is quite impressive, but the 36 more homers that would come with keeping that pace for the rest of the season won’t be showing up anytime soon. As he’s done before, Rasmus will return to his normal form and end the season with something in the neighborhood of 25 home runs alongside his .240-ish batting average. This recommendation has nothing to do with Cody Allen’s skill as a pitcher. It has everything to do with my respect for Terry Francona’s intelligence. Ok, that’s not quite true. It has everything to do with my respect for Francona’s baseball intelligence. I can’t exactly stand up in favor of some of the decisions he’s made off the field, but the man understands how to manage a bullpen. He didn’t show it much in Boston when he had Jonathan Papelbon entrenched as his closer, but his firm reluctance to remove an ineffective Chris Perez from the closer’s role in Cleveland, followed by his refusal to install a full time replacement when Perez removed himself, shows that he understands both the mechanics of the new bullpen reality, as well as how to manipulate those mechanics for the greatest good of his team. Perez saved 25 games last season; the other 13 saves tallied by Indians relievers were spread across five other pitchers. If Francona didn’t understand those bullpen mechanics, he would have moved Vinnie Pestano into the closer role last season and he’d be in the midst of slotting Allen in as his closer right now. Allen has done everything possible to earn the gig, fanning 36.7% of the hitters he’s faced while setting a career low in walk rate. He has all the marks of a shutdown reliever: a 95 mile-per-hour fastball and a 16.1% swinging strike rate. Francona realizes that, but he also realizes that a shutdown reliever is most useful when he can be deployed in situations where a shutdown can provide the most value. He said it himself. 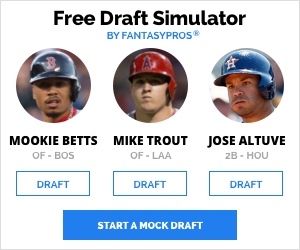 It’s a great strategy for real life baseball, but it’s not terribly helpful in fantasy. You can probably still trade Allen, but you’ll have to move quickly. One-for-one deals likely won’t be an option, but he’ll be an excellent sweetener in larger transactions. Matt Adams hasn’t yet played a full season in the major leagues, but he’s already had an up and down career. Well, to be perfectly accurate, he’s had a down, up, then down again career. He predictably struggled a bit during his first stint in the big leagues, then broke out last season, now he’s regressed back to a level closer to his freshman season. A junior slump, perhaps? Adams’ .394 BABIP has masked many of his struggles, but he’s been a shell of last year’s self. His HR/FB rate has sunk to 5.6%, his walk rate has dropped to a putrid 2.8%, and he’s chasing a career high 41% of pitches outside the strike zone. Not only is he hitting fewer fly balls, but his average fly ball distance is down more than 18 feet from last season’s mark. Adams ranked ahead of sluggers like Jose Bautista, Adrian Beltre, and Justin Upton last season; this year he’s fallen behind punchless hitters like Marcus Semien, Cody Asche, and Gerardo Parra. Adams is still very young and might well figure this out, but at the moment, he provides his owners with an opportunity to sell a struggling asset for something near market value. There’s still some upside here, but I’d rather invest in something a bit more predictable. It takes a special kind of player to hit .136 and still manage to get on base at a .303 clip. Erick Aybar is hitting .281 and somehow has a lower OBP than Carlos Santana. I suppose that’s more of a reflection on Aybar than anything else, but regardless, it’s really quite amazing. Speaking of amazing, Santana has hit an astonishing .111 on grounders this season. In his 45 plate appearances that have ended in a ground ball, he’s managed just five hits. Only four hitters have a worse BABIP on grounders. Santana isn’t exactly a burner, but that number will surely rise as the season goes along. Aside from the poor luck, things have actually been pretty ok for the erstwhile Cleveland catcher. His plate discipline has remained sterling; the two walks he drew on Sunday put him at a 32/31 BB/K split for the season. He’s still hitting for power; he’s almost perfectly on pace to match last season’s total of 20 round-trippers. His move to third base has him in the lineup every day and his defense, according to UZR, somehow hasn’t been awful. I’d like to see him strike out less (he’s struggling a bit to make contact with offspeed stuff) and I’d prefer it if he hit a few more line drives, but all in all, Santana is having a perfectly Carlos Santana-like season, except for the fact that he just can’t catch a break. I drafted Everth Cabrera on a couple of my teams and though I generally regret it, that doesn’t mean I won’t be keeping him for as long as it takes for him to turn things around. He’s been pretty terrible so far, flailing his way to more than six strikeouts for every walk and somehow managing only a .258 batting average from a career high .345 BABIP. 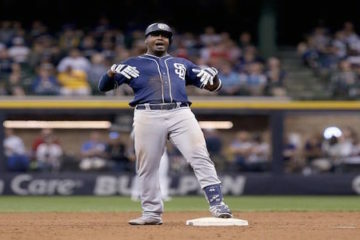 Most importantly, he’s swiped only seven bags in 163 plate appearances. It could be that the PEDs that earned Cabrera a suspension last season were a more integral component of his value than we realized, but that seems too easy. There are a few positive signs here. It’s not as though there was any power for him to lose, right? Though he still refuses to take a walk, Cabrera seems to have a very good handle on what he’s capable of. His contact rate is still bad, but this year’s model is better than the rates he posted in his first few years in the big leagues. When he does make contact, he smartly puts almost everything on the ground; his 62.3% ground ball rate ranks seventh in baseball. I don’t think the breakout I was hoping for is coming this season, but he’s still a very useful player. ZiPS projects him to swipe 28 bases the rest of the way; it projects only seven players to snag more bags. If you can flip him as part of a bigger deal that would replace Cabrera with a rising, still undervalued player (Jonathan Villar comes to mind), go for it. Otherwise, now’s not a good time to sell. Last season, Homer Bailey allowed a .284 BABIP. Sunday was just the second start this season in which he’s allowed a BABIP lower than that; Bailey surrendered a BABIP of .400 or worse in each of his first five outings. His struggles haven’t been just bad luck, though. Bailey hasn’t been able to maintain the excellent control he showed last season. Specifically, he’s not getting nearly as many strikes with his fastball; the strike percentage for his four-seamer is down by five percentage points from last season. It’s a bit of a concerning trend, but there hasn’t been any noticeable shift in release point or velocity that would indicate that it’s anything more than just an elongated feeling out period. Bailey’s going to get his fastball back, and when he does, it’ll join an expanding repertoire of excellent secondary stuff. His curve and splitter have both seen big jumps in whiff rate this season. Hitters come up empty on over half of their swings at the split-finger. By whiffs per swing, Bailey’s splitter has been more effective than Masahiro Tanaka’s. Stay patient, he’ll come around very soon.